What type of trip are you planning? A school leadership group, a dry-grad celebration, a girl guide or boy scout adventure, or a soccer wind-up? 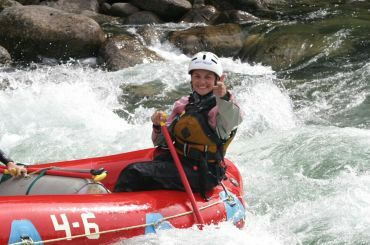 REO Rafting Resort has the right mix of activities and lodging for all types of youth groups. 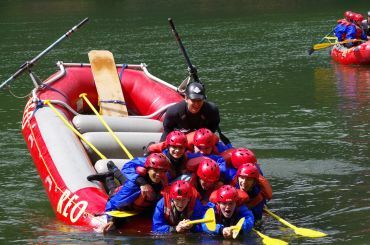 We guarantee a whitewater rafting excursion at REO will create memories to last a lifetime! Enjoy 1 night of camping or glamping along the river's edge, 3 delicious meals, whitewater rafting (or another activity), and access to the private beach, hot tub, nightly campfires, and more! 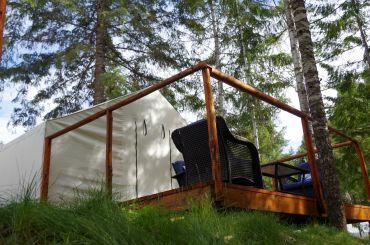 Our popular glamping tents feature river’s edge decks that overlook the rushing rapids of the Nahatlatch River. 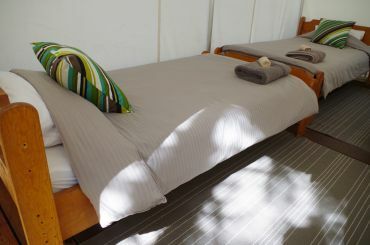 Each tent comes with single, double or queen beds and sleeps up to 4 – 6 people. You can choose to bring your own linens / sleeping bags or purchase REO’s linens (pillows, sheets, blankets, duvets & towels). 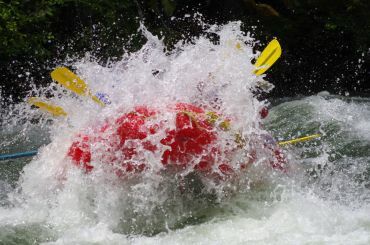 Not up for the Challenge of Whitewater? 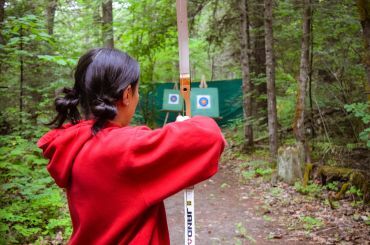 Venture into the forest and test your aim at archery or enjoy a guided hike into the Nahatlatch canyon and learn about how recent landslides have affected salmon spawning. 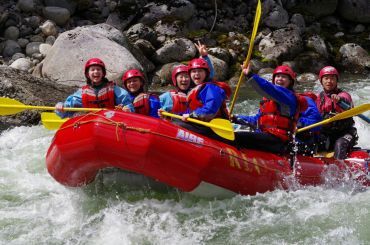 Enjoy 1 night of camping or glamping along the river's edge, 5 delicious meals, whitewater rafting (or another activity), and access to the private beach, hot tub, nightly campfires, and more! 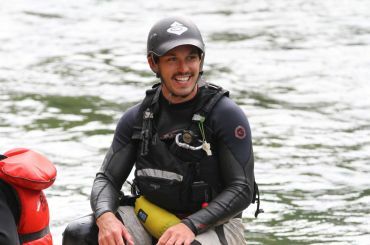 Base Package: Camping, Meals and 1 Rafting trip. All prices are per person based on Sun - Thu arrivals.